If you found a great way to do something or maybe found a feature that you didn’t know existed, share it! After over three years with a startup Real Estate CRM, I’ve decided to change directions and relax a bit. Being in a SAAS startup is a very time and energy consuming effort. I’ve decided to slow down a bit and do what I enjoy most, this web site! I started providing unbiased reviews and consulting here in 1999 so it’s now been 20 years! Just prior to joining the company over three years ago, I had literally spent nine months building this new site. I had a great many plans that I was never able to put into place. Now I get to do that, BUT, I now have new and different knowledge and perspectives that I did not have before. Initially as Vice President of Customer Success I was responsible to provide technical support and to build, organize and staff the tech support department. We achieved consistent high praise for our support. This showed me the internal workings of a CRM with respect to when things break, and how they get fixed, as well as why and when features are implemented and how. I was then also responsible for training new employees as well as to train new users of the CRM. I built extensive workflows and content in the CRM to aid in on-boarding new users, making and following up on appointments, training schedules, class content, follow-up content, etc. I was the fourth person to join the company and being in the leadership meetings from the beginning gave me a great many insights into how SAAS CRM organizations run, develop and grow. It was a fascinating experience that completed my crazy education in “All Things Real Estate CRM” in every sense of the meaning of the phrase. Prior to real estate sales, I was in Cryptographic electronics and then Computer and Print Production Operations Manager for a direct mail house. My point? I not only understand computer hardware, I then gained experience in operations management and have been in every aspect of Real Estate. This truly unique set of skills enables me to help you organize and manage your business in every way possible, with insights not possible by most. It’s what I do best and what I enjoy most. Contact me for help learning and implementing your CRM and organizing your processes with activity plans and or workflows. Please bear with me as I continue to refresh the information here, update the CRMs, as well as adding a few, and expand on the services I offer. I’m excited to get out there and help agents and teams again and very much looking forward to it! https://garydavidhall.com/wp-content/uploads/2015/02/GDHLogo340.jpg 0 0 Gary David Hall https://garydavidhall.com/wp-content/uploads/2015/02/GDHLogo340.jpg Gary David Hall2019-04-18 11:19:182019-04-18 16:13:02I'm back!!! This blog post is the 4th in a series of 5 articles demonstrating the impact templates and workflows can have on your real estate business. Even if you’re lucky enough to find someone with experience, we all do things differently, so you have to spend a significant amount of time showing them exactly what you expect of them. That is time that could have been spent performing income-generating activities. So this is where the extra costs come in. You will lose income as a direct result of hiring an assistant. It’s simply a matter of how much. You can’t avoid that loss completely, but you can mitigate it to a very large degree by using workflows! Read on to learn how. If you haven’t already built your workflows and you plan to hire an assistant someday, you’ll want to plan who will be “assigned” the activities in the workflows. If your CRM allows you to assign Activities to Job Positions versus individuals (as Realvolve does), it will save you a great deal of time when you bring on your assistant. 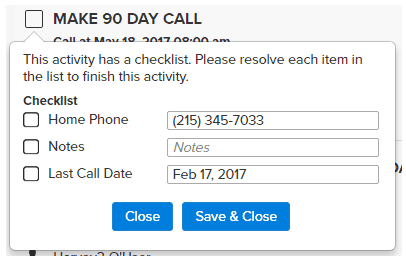 Simply assign an Activity to “Assistant” instead of yourself. Then, when your new assistant starts a workflow, all they have to do is plug in their username when it asks who the Assistant is. When your new right hand starts, the first thing you’ll teach them is which workflows to start for which situations. Once they start a workflow, everything they’ll need to do for that listing/closing/event will be scheduled out for them. It’s a beautiful thing, but there’s still some possibility for confusion. If you haven’t previously discussed exactly what they will be doing, notifications like “add contacts for the new parties to a transaction” won’t provide them with quite enough information to get the task done. If you’ve ever created an Operations Manual for your employees, you know how frustrating it can be when you finally finish and publish it…and your operating procedures change. When that happens, you have to reach out to everyone and tell them to read the changes. And since those changes may not be relevant to them at that time, they may be forgotten and never even read. The great part about a dynamic operations manual—one that is built right into your workflows—is that if a process changes, all you have to do is change it there in the workflow note. It will then be seen when it is needed by the person who needs it, rather than being missed because it was irrelevant at the time. Creating workflows is time consuming. Rather than adding all of these instructions on the first pass when you’re creating the workflows, consider adding them afteryou’re done creating them. You’ll get your workflows done and ready to use much more quickly. Then you can go back and add the instructions, while enjoying the benefit of using them in the interim. If you’re not using workflows yet, how do you keep track of what your assistant is doing and whether they’re getting it done on time? And what if you have a bigger team? You have to ask each person for an update, right? That’s going to be very time consuming. Workflows make it easier! You can just click a few buttons and view the status of each listing/closing/event. You can see what has been done, what needs to be done, who is doing what they need to be doing, and who is maybe behind on their list of tasks for the day. Workflows allow you to more efficiently monitor the productivity of your new assistant (and everyone else on your team) so you can make sure they’re earning their keep. 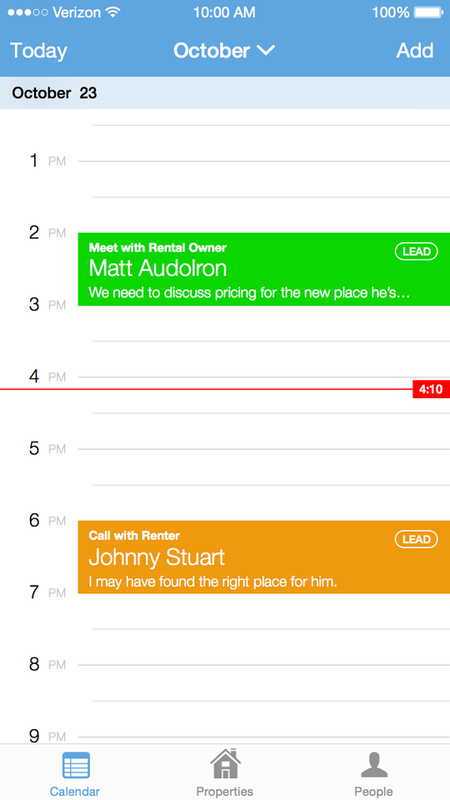 Are you killing your assistant’s productivity? How many times a day do you text, email, or call your assistant to get a phone number, check on that mortgage commitment, or have them check to see if you can add something to your calendar? If you can set up your workflows do all of that automatically, you can stop bugging your assistant, and they will get much more done. Ready to learn more about integrating workflows into your real estate business? Contact us or visit our website to find out more about Realvolve! Are you driving your real estate business with a manual or an automatic? This blog post is the 1st in a series of 5 articles demonstrating the impact workflows can have on your real estate business. A stick shift can be fun, but it’s not very practical for business use if you’re in real estate sales. The same can be sa id of running your business with paper To-Do lists and a lot of finger-crossing. It may be what you “grew up” with, but that doesn’t mean it’s the best way to go. 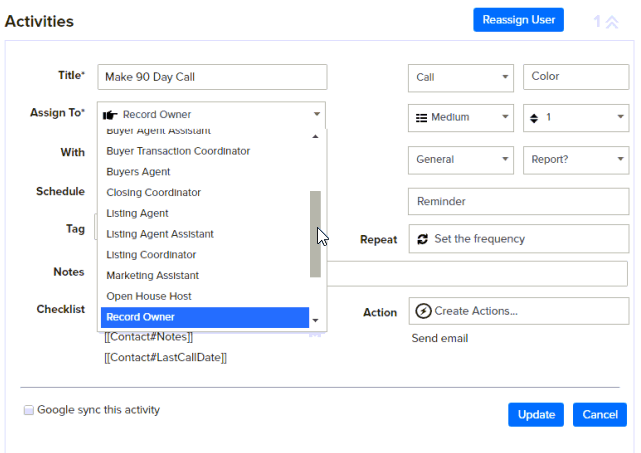 With workflows as part of your real estate CRM, you can automatically keep the day-to-day details of your operation humming smoothly, dramatically reducing stress and time spent on paperwork to free you up for more one-on-one interaction with your sphere of influence. https://garydavidhall.com/wp-content/uploads/2015/02/GDHLogo340.jpg 0 0 Gary David Hall https://garydavidhall.com/wp-content/uploads/2015/02/GDHLogo340.jpg Gary David Hall2017-05-19 12:14:152017-05-19 12:17:28Are you driving your real estate business with a manual or an automatic? Just wanted to let you know that I will be at Inman Connect in NY all week in the Realvolve booth with Dave Crumby, Mark Stepp and Kendyl Young. If you’re going to be there, please stop by and say hi! Top Producer QR Bundle best sale ever! $64.95/mo.! This is the best price I’ve ever seen on the QR Bundle which is comprised of Top Producer CRM and Market Snapshot. The lowest they have gone to date is $84.95/mo. If you have been on the fence and want to take advantage of this sale just click here and use promo code VARBNDL8495. That will show the $84.95 price but will be adjusted by my rep at Top Producer to $64.95/mo. One Day Only – Black Friday. To learn more about Top Producer click here. To learn more about Market Snapshot click here. https://garydavidhall.com/wp-content/uploads/2015/02/GDHLogo340.jpg 0 0 Gary David Hall https://garydavidhall.com/wp-content/uploads/2015/02/GDHLogo340.jpg Gary David Hall2015-11-27 12:48:252015-12-23 18:01:54Top Producer QR Bundle best sale ever! $64.95/mo.! I got started on this one and it just kept getting longer. What can I say – I really like talking about this Realvolve. So I’m sorry it’s so long but hopefully it will be worth it. “How valuable are the current internet leads you are purchasing? Would it make a difference if the leads had a full name, picture, and even interests and favorite sports teams listed when they come in? How about links to all of their social media? Wise Agent is very excited to announce the release of our new lead enhancement system. Now as soon as your leads automatically drop into Wise Agent from any source, our lead system immediately scours the internet in search of any social media linked to the lead’s primary email address. Many times, the search will return full names, company, job title, photos, social profile links, and more. You may have paid for a partial lead, but because you are a Wise Agent member, we turn your partial lead into a full lead with this new technology. This makes it much easier for you to turn that lead into a relationship. Check out this video demonstrating how it works. If you would like to trial or purchase WiseAgent, I offer my Trans-Plans Emails free when you do it through my site here. Top Producer and Market Snapshot Sale! This is a new one! If you get the QR Bundle, which is Top Producer and Market Snapshot, it is $84.95/mo. That’s the price it has been for quite some time. What is different is this: If you order it from me and you know someone who is already using TP, just give me their name as a referral and get the second month for the whole bundle for free. That’s an $84.95 savings. Contact me with questions, or order here. https://garydavidhall.com/wp-content/uploads/2015/02/GDHLogo340.jpg 0 0 Gary David Hall https://garydavidhall.com/wp-content/uploads/2015/02/GDHLogo340.jpg Gary David Hall2015-10-15 12:50:072015-10-15 13:07:47Top Producer and Market Snapshot Sale! Following is a press release by AgentDesks. For more information, to trial or purchase, please go here to support this site. Agentdesks was featured on Inman News today. You can read the article written by Craig Rowe here and it’s also pasted below. Yes! Improving productivity and in turn increasing sales for real estate agents is our number 1 goal. Download the app on Android or iOS if you haven’t already and tell us what you think! We’re working hard to add advanced functionality and would love to incorporate your feedback. 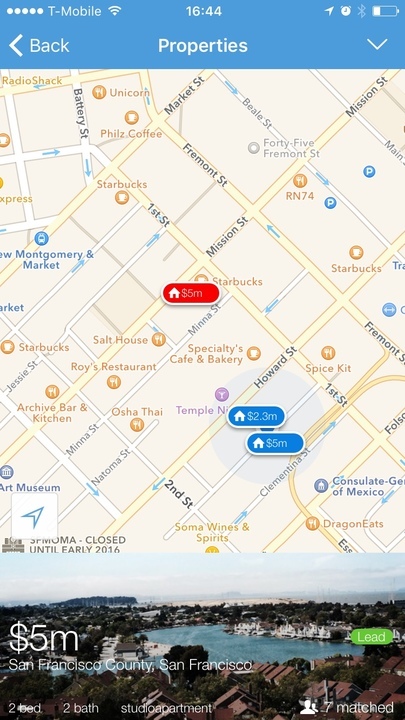 Mobile functionality is quickly becoming the default for new real estate software. Consolidation of common functions is a growing trend in software development. Agentdesks is a prospect development app for real estate agents. Ideal for: All agents looking for a mobile alternative to a full-blown CRM or lead development solution. 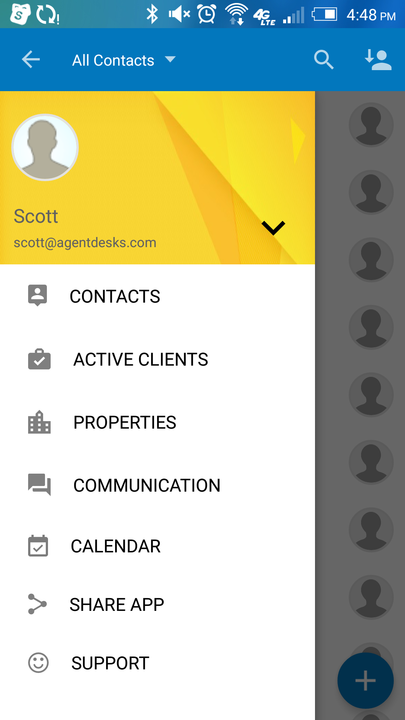 Agentdesks is as easy to use as your phone contact list. Embedded email allows for quick dispersal of new and current listings to agents and prospects. It rolls out in only a couple of minutes. This isn’t an acorn-to-oak-tree CRM tool with an array of features or bolt-on integrations. If you need to connect and manage a large number of agents in a single office, other choices are out there. I suppose you can call this a Customer Relationship Management (CRM) product. I don’t want to, though, because it’s just too practical. Agentdesks can help you be a more productive agent without having to commit to an enterprise system. 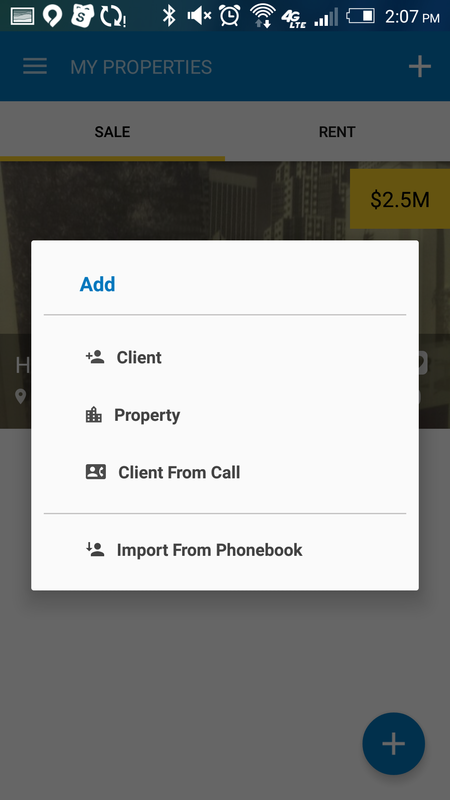 Agentdesks starts with your existing phone contact list as well as those you may have in your Gmail account. The software’s interface is as simple as Contacts, Clients and Properties. While it may take a minute to sort through your Contacts to turn them into Clients — then Buyers, Sellers, Investors, Renters or Rental Owners — you’ll find that process can be done as you interact with them on respective deals. Agentdesks developers included Renters and Rental Owners to appeal to global license practices, where one license essentially covers all real estate verticals. As you interact with clients, Agentdesks encourages you to set reminders, attach them to their listings or buying requirements and also add notes. There’s nothing super advanced here other than its simplicity. Agents are on their phones constantly, and Agentdesks puts everybody you need to get through your day within thumb’s reach. There are also some slick features. New listings that match a buyer’s requirement will automatically attach to that buyer. You can also have a nice view of your listings, from which you can choose to Shortlist or Reject its appeal to your clients. The Recommend button asks which contacts you think are best suited for a particular listing. Agentdesks’ embedded email client is a very nice touch. You won’t have tap out of the software to send a listing or message to a prospect. All emails, texts and overall activity with a contact or client is recorded under their respective History tab. There’s also a Reminders tab under each person in your database. The app is still in its infancy, but it’s ready to use. There are plans for advanced functionality and further categorization of contacts to include vendors, like lenders and handymen. I hope Agentdesks remains true to the efficiency model that I’ve been horsing around with on my phone. The learning curve is nil. Essentially, Agentdesks has curated a number of disparate actions available on every mobile device, and plugged in your listings to add value. It’s a much more efficient, common-sense approach to mobile real estate business. Top Producer has some announcements about new features they added to Market Snapshot and to how it interacts with Top Producer. The images link to more information on Top Producer’s site. Please trial or purchase Market Snapshot by clicking here to support this site. Thanks! We have some very exciting news to share with you today that will make your two products Top Producer®CRM and Market Snapshot® that will take your follow up to the next level. And best of all, you can just sit back and enjoy while the Follow-up Coach and Market Snapshot® do all the heavy lifting for you. The Follow-up Coach will now give you a heads up if your clients aren’t receiving snapshots. Not only that, if they don’t view the snapshot within a few days, it’ll let you know that too. And if you find yourself somewhat baffled that they’re not viewing your amazingly accurate and engaging snapshot report, don’t fret—the Coach has the words already laid out for you. The report now displays the details that truly matter to the consumer. Walkability has become an extremely important factor to consumers, so they’ll love the walk score ratings and amenities info available in each listing. And who doesn’t want to know the assigned schools (and ratings) for each listing they view?